Co-operative border management « What Happened to the Portcullis? Despite being the focus of numerous investigations and exposés regarding the country’s role in the international illegal wildlife trade, Vietnam continues to be a primary hub for ivory trafficking. The Environmental Investigation Agency (EIA) has released a report Exposing the Hydra: The growing role of Vietnamese syndicates in ivory trafficking documenting the findings of a two-year undercover investigation. (Download the full report at this hyperlink). Investigators successfully infiltrated several ivory trafficking syndicates operating in Mozambique, South Africa, Malaysia, Laos, Cambodia and Vietnam, building a detailed picture of how these criminal organizations are structured, how they cooperate with one another and how they also traffic other endangered species such as rhinos and pangolins. In contrast to China, which closed its domestic legal ivory market in January and stepped up enforcement against ivory trafficking, the Government of Vietnam has not demonstrated serious commitment to tackling wildlife crime, says the organization. Instead, the past decade has seen Vietnam serve as a prominent transit route for large ivory shipments to China as well as overseeing a growing carving industry and one of the world’s biggest markets for ivory sales. The report states that since 2009, 56 tons of ivory have been seized in Vietnam and a further 20 tons linked to Vietnam seized in other countries. This is equivalent to ivory sourced from approximately 11,414 elephants. EIA estimates that since 2015 the ivory traffickers identified during the course of their investigation have been linked to seizures totalling 6.3 tons of ivory and 299 kilograms of rhino horn, including the recent record seizure of 50 rhino horns in Malaysia in August 2018. Between January 2016 and November 2017 there were at least 22 successful shipments of ivory from Africa, with an estimated weight of 19 tons and potential revenue of $14 million. The Maputo Corridor Logistics Initiative (MCLI) recently published a communication informing it’s stakeholders about the Single Road Cargo Manifest as received from the Mozambican Revenue Authority (MRA). The MRA has informed MCLI that the 2nd phase of the Single Road Cargo Manifest process will come into effect from the 16th of June 2017, when all international road carriers transporting goods to Mozambique through the Ressano Garcia border post will be required to submit the Road Cargo Manifest on the Single Electronic Window platform in compliance with national and international legislation. MRA Service Order Nr 17/AT/DGA/2017, in both Portuguese and English, is attached for your consideration. For information and full compliance by all members of staff of this service, both (National and Foreign) International Cargo Carriers, Clearing Agents, Business Community, Intertek and other relevant stakeholders, within the framework of the ongoing measures with a view to adequate procedures related to the submission of the road cargo manifest, for goods imported through the Ressano Garcia Border Post, in strict compliance to both the national and international legislations, it is hereby announced that, the pilot process for transfer of competencies in preparation and submission of the road cargo manifest to Customs from the importer represented by his respective Clearing Agent to the Carrier is in operation since December 2016. Indeed, the massification process will take place from 15th of April 2017 to 15th of June 2017, a period during which all international carriers (national and foreign) who use the Ressano Garcia Border, are by this means notified to register themselves for the aforementioned purposes following the procedures attached herewith to the present Service Order. As of 16th of June 2017, the submission of the road cargo manifest into the Single Electronic Window (SEW) for the import regime, at Ressano Garcia Border, shall be compulsory and must be done by the carrier himself. International road carriers must therefore register for a NUIT number with the Mozambican Revenue Authority between the 15th of April and the 15th of June 2017 and the necessary application form is included. Road carriers are urged to do so as soon as possible to enable the continued smooth flow of goods through the border post. Specific details can be found here! As national Customs administrations and border agencies celebrate International Customs Day, no doubt showcasing their recent ICT endeavours, it is good to reflect not only on the available standards and tools which are becoming more available to Customs and Border Management Agencies. promotion of the Single Window concept. For most customs and border administrators, they have somewhere heard of, or to some extent are aware of the ‘buzz words’. The various chapters of the WCO through the working groups provide up-to-date developments in all facets on developments in the modern Customs operating and global trade environment. These are ably supported by several internal business organisations and umbrella associations adding credence to the developmental work and ultimately the standards, policies and guidelines published by the WCO. In this modern era of uncertainty – global political and socio-economic risks – International Customs Day should be a combined celebration not only for Customs, but moreover, the associated supply chain industries and business intermediaries. If there was no trade in goods there would be no Customs or WCO. Without the providers of ‘big data’ there would be no need for data analysis. Without illicit activities there would be no need for expensive enforcement technology and equipment and the application of risk management. 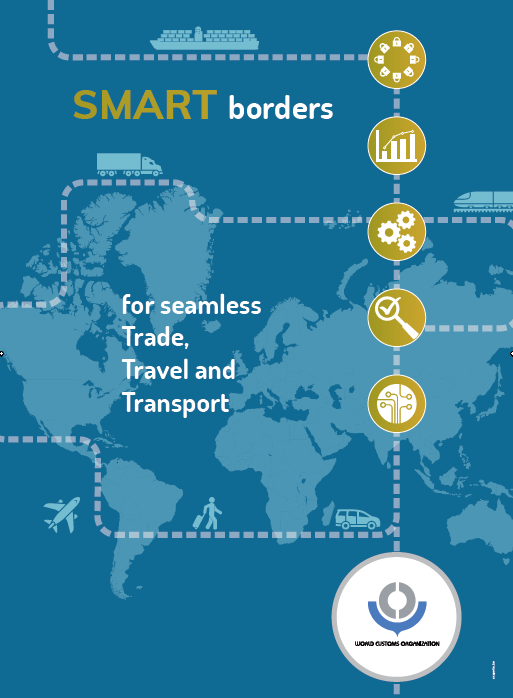 Thanks to an imperfect and unequal world the WCO, through its association with the world’s customs authorities, big business and ICT service providers is able to develop a Digital Customs Maturity Model, which provides a road map for administrations from the least to most developed (mature rather). The pace and extent of maturity is undoubtedly determined by a country’s discipline and agility based on a clear strategy with the support and commitment of government and allied industries.Happy Customs Day! The Zimbabwe Herald suggests that Zimbabwe could be losing millions of dollars in unpaid taxes due to rampant smuggling of cigarettes into South Africa, investigations by this paper have revealed.Between 2014 and 2015, local customs officials seized nearly 2 500 cartons worth around $500 000 in taxes, according to the Zimbabwe Revenue Authority. Figures from the South African side are staggering, showing a wide discrepancy in the value of confiscated contraband between the two neighbouring southern African countries. The South African Revenue Service told The Herald Business that it had seized R87 million (US$6,2 million) worth of Zimbabwean cigarettes since 2014, or 95 million sticks. This will likely be worth millions of dollars in evaded tax in Zimbabwe, but the ZIMRA director for legal and corporate services Ms Florence Jambwa said the figures were difficult to determine because smuggling was an underground trade. South Africa, however, says it loses an estimated R40 million (US$2,9 million) to cigarette smuggling each year, on the average, more than half of it Zimbabwe-related. And this is just from what is on public record. Customs officials from both countries admit the figures could be higher. Both are also greatly incapacitated to detect illegal trades quickly. “It is difficult to measure the levels of smuggling as this is an underground activity mostly done through undesignated entry points,” said ZIMRA’s Jambwa, by email. “The value of the potential loss cannot be easily ascertained,” she said, failing to provide an estimate. Tax analyst Mr Tendai Mavhima said the figures from ZIMRA represent only a small portion of the actual amount of money Zimbabwe is losing to trafficking of cigarettes. “The disparity in figures (ZIMRA and SARS figures) indicate there are problems in controls on either side, which may result in the revenue and tax losses from both countries being understated,” he said by telephone. Zimbabwe is the world’s fifth largest producer of tobacco after China, the USA, Brazil and India. The country produces flue-cured Virginia tobacco, considered to be of extremely high quality and flavour, according to a report on Zimbabwean tobacco companies by local stockbroking firm, IH Securities. As such, Zimbabwean tobacco ends up in many top cigarette brands across the world, it says. It is especially popular in China, the largest importer of Zimbabwean tobacco, and in South Africa, the country’s largest trading partner. In South Africa, Zimbabwean cigarettes are on demand for two key reasons: high quality and affordability. It costs just $1,50 for 20 sticks in Zimbabwe compared to $3,20 for the same number of sticks in South Africa, according to estimates by regional economic bloc, SADC. South Africa imposes very high taxes on cigarette imports – about 80 percent meaning many Zimbabwean dealers choose to export illegally. SADC says illegal dealers supply nearly two thirds of the number of cigarettes smoked by South Africans. In 2011 alone, at least 4 billion cigarettes smuggled into South Africa originated from Zimbabwe, it says. The undeclared cigarettes are usually concealed in trucks, buses and other vehicles destined for South Africa by organised cartels, said Florence Jambwa of ZIMRA. Recent speculation concerning the Border Management Agency Bill have brought about reaction from both within government and industry. While there appears widespread support for a unified agency to administer South Africa’s borders, the challenge lies in the perceived administration of such agency given the specific mandates of the various border entities. The Davis Tax Committee (DTC) was requested to provide a view on the affect of the proposed bill insofar as it impacts upon revenue (taxes and customs and excise) collection for the fiscus of South Africa. The purpose of the Bill is to provide for the establishment, organisation, regulation and control of the Border Management Agency (BMA); to provide for the transfer, assignment, and designation of law enforcement border related functions to the BMA; and to provide for matters connected thereto. The functions of the BMA are (a) to perform border law enforcement functions within the borderline and at ports of entry; (b) to coordinate the implementation of its border law enforcement functions with the principal organs of state and may enter into protocols with those organs of state to do so; and (c) to provide an enabling environment to facilitate legitimate trade. 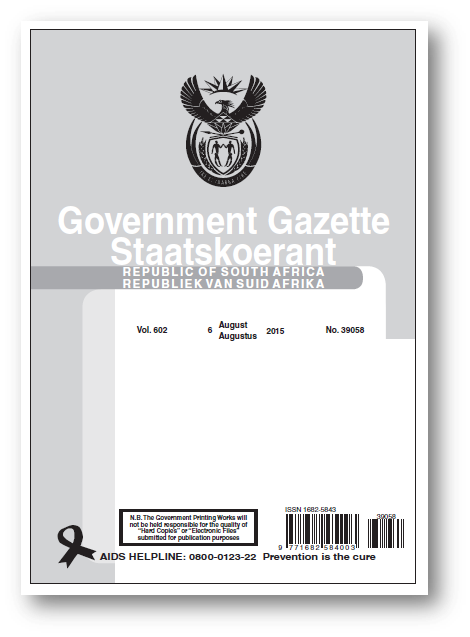 In short the DTC recommends that the functions and powers of SARS and the BMA be kept separate and that the Agency should not be assigned any of the current functions and powers of SARS with regard to revenue (taxes and customs and excise) collection and the control of goods that is associated with such collection functions. Of particular concern is the extraordinarily poor timing of the Bill. According to the 2014 Tax Statistics issued by SARS, the total of customs duties, import VAT, and ad valorem import duties collected amounted to R176.9 billion for the 2013-14 fiscal year. This was approximately 19% of the total revenue collected. According to Eye Witness News, a draft law aimed at creating a new, overarching border control entity has run into problems. Parliament’s Home Affairs Portfolio Committee has been briefed on the Border Management Authority Bill by the department, the South African Police Service (Saps) and National Treasury. Cabinet approved the Bill in September 2015 to deal with weaknesses in the state’s ability to secure the country’s ports of entry. The Bill proposes harnessing the responsibilities of Home Affairs, the police and the South African Revenue Service (Sars) among others in one agency under a commissioner. The authority will take over the customs control functions currently undertaken by the South African Revenue Service. There are fears within the industry that it could compromise SARS’s achievements in modernising its customs administration that has facilitated the movement of goods across the border. Red flags have been raised by both the SA Police Service and National Treasury over the Border Management Authority Bill. Treasury’s Ismail Momoniat says while they support a single border control body, SARS must remain in charge of customs and excise and revenue collection. “We’re talking of significant revenue collection, and that is a speciality… The Bill is a framework, it’s important it doesn’t generate uncertainty for an important institution like SARS. The authority will be governed by a commissioner and overseen by an interministerial consultative committee, a border technical committee and advisory committees. The SAPS’ Major General David Chilembe says the Constitution says South Africa must have a single police force. He says it may have to be amended if the new border authority takes over policing duties. Chilembe also says the police, and not Home Affairs, should lead the new entity. Source: EWN. A “Unified border guard and authority” will be one of the first orders of business when Parliament opens for the third quarter of the year. On the agenda for the portfolio committee on home affairs is “processing the Border Management Authority Bill — which‚ a statement noted‚ is a modified name as “the authority was called the agency in the former draft of the bill”‚ it said at the weekend. It was necessitated by “inefficiencies resulting from having many government departments co-ordinating, and often duplicating, the securing of SA’s land‚ sea and air borders,” which “have contributed to the porous 5,244km border”. “The bill and related authority aim to centralise the border-related responsibilities of‚ amongst others‚ the Department of Home Affairs‚ the South African National Defence Force and Police Service‚ Customs of the South African Revenue Service as well as aspects of the Departments of Agriculture‚ Environment and Health‚” the committee said in the statement. After briefings‚ public hearings and written submissions‚ it is “likely to be finalised in the last quarter of 2016 or early in 2017”. Also on the committee’s plate is “reliable higher bandwidth network services” needed by the Department of Home Affairs “to facilitate the expanded roll-out of technology-driven service delivery improvements”. The World Customs Organization (WCO), with the financial support of the Customs Administration of Saudi Arabia, successfully held a Regional Workshop on Coordinated Border Management (CBM), Single Window and the WCO Data Model in Riyadh, Saudi Arabia from 27 to 31 March 2016. Thirty seven middle management officials of the Customs Administrations from the MENA Region, namely Saudi Arabia, Egypt, Lebanon, Jordan, Morocco, Tunisia, Sudan, Bahrain and the United Arab Emirates participated in the Workshop. In addition, twelve officials of Customs’ Partner Agencies and two representatives from the private sector attended the event. Mr. Abdulah AlMogehem, the Deputy Director General of the Customs Administration of Saudi Arabia in his opening remarks highlighted the importance of Single Window development by governments to simplify cross-border trade regulatory procedures which will reduce inefficiency and redundancy of border management processes. The event highlighted the importance of CBM principles as the basis for the development of a Single Window Environment to enable coordination and cooperation between all relevant government agencies involved in border management. The Workshop also focused on the importance of strategic planning and formal governance structures in establishing a Single Window Environment. SA Revenue Service’s Intikhab Shaik incidentally facilitated the session and discussion on Single Window. Four East African countries on Tuesday agreed to fast-track implementation of a common customs and transit cargo control framework to enhance regional trade. Commissioners-general from the Kenyan, Ugandan, Rwandan and Tanzanian revenue authorities said adoption of an excise goods management system would curb illicit trade in goods that attract excise duty across borders. They said creation of a single regional bond for goods in transit would ease movement of cargo, with taxation being done at the first customs port of entry. The meeting held in Nairobi supported formation of the Single Customs Territory, terming it a useful measure that will ease clearance of goods and reduce protectionist tendencies, thereby boosting business. Implementation of the territory is being handled in three phases; the first will address bulk cargo such as fuel, wheat grain and clinker used in cement manufacturing. Phase two will handle containerised cargo and motor vehicles, while the third will deal with intra-regional trade among countries implementing the arrangement. The treaty for establishment of the East African Community provides that a customs union shall be the first stage in the process of economic integration. Kenya Revenue Authority (KRA) commissioner-general John Njiraini said the recently introduced customs and border control regulations were designed to enhance revenue collection and beef up security at the entry points. “At KRA, we have commenced the implementation of a number of revenue enhancement programmes particularly on the customs and border control front that will address security and revenue collection at all border points while enhancing swift movement of goods,” he said. The SARS Customs Detector Dog Unit (DDU) recently deployed two trained detector dog handlers and dogs on foreign soil in Maputo, Mozambique. This forms part of a Customs co-operation agreement between the governments of South Africa and Mozambique. The capacity-building programme provides for the training of at least eight detector dog handlers and dogs for Mozambique in over a period of 14 weeks followed by a ‘Train-the-Trainer’ programme for purposes of sustainability. The deployment of SARS Detector Dog Handlers and dogs trained to interdict endangered species and narcotics in Maputo will promote and strengthen a cross-border intergovernmental approach in the prevention and detection of smuggling of illicit, illegal goods or substances via ports of entry between Mozambique and South Africa. 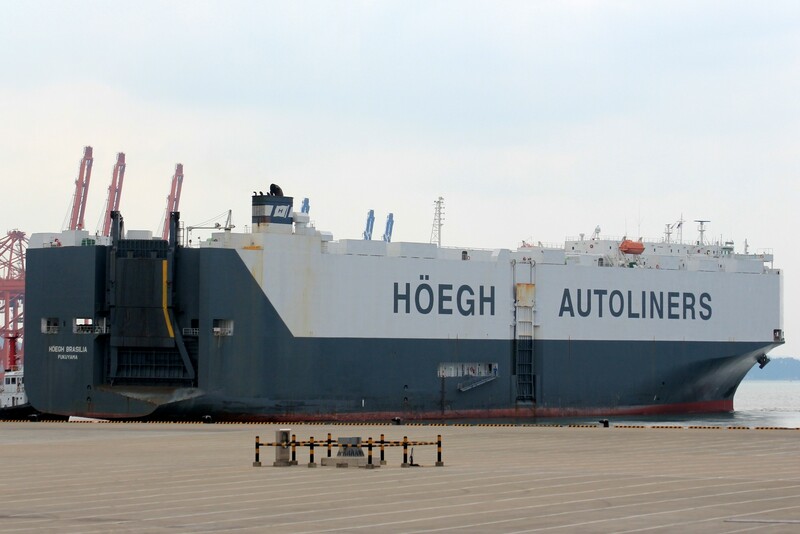 Kenyan and U.S. authorities found drugs aboard the Höegh Autoliners “Pure Car/Truck Carrier” (PCTC), which was detained at Port Mombasa on September 17. The crew of the ship has been arrested and currently being questioned by authorities. According to authorities, cocaine was found inside the tires of three military trucks aboard the Hoegh Transporter, a Singapore-flagged car carrier. Kenyan officials raided the vessel after receiving a tip from the U.S. Federal Bureau of Investigation (FBI) that the vessel had been loaded with the coke at India’s Port of Mumbai. Kenyan soldiers and security personnel shut down the port for hours before seizing the ship and halting operations. Mombasa, which is Africa’s largest port, serves as the main gateway for imports and exports in the region. East Africa is a major shipping route for Afghan narcotics bound for Europe. Maritime forces have been unable to curb the flow of drug transport in the region. Johannesburg – They [smugglers] had cash stashed in 11 pieces of luggage including four backpacks – R78 million destined for the United Arab Emirates. But eagle-eyed customs officials at OR Tambo International Airport were on to them and confiscated the bags with R23m and $3.775m in notes. On the same day, R50m worth of cocaine stashed in hair product bottles was seized at the same airport, in one of the biggest crime-busting days at OR Tambo. On Monday, SA Revenue Service (Sars) officials said five people had been arrested after being caught with the undeclared cash as they were about to leave South Africa. “Risk profiling earlier by Sars custom officials identified the passengers, and led to their apprehension as they boarded the aircraft at 9.45pm. “Upon noticing the officials, the passengers retreated and headed back to the entrance of the boarding gate. At this point, officials closed the boarding gate door and the passengers were compelled to wait for the Sars officials,” Sars said. When asked whether they had any currency, one of the passengers apparently said he had R100 000 and that the other members of the group had currency with them. Sars spokesperson Luther Lebelo said the bags with the cash had been handed over to the SA Reserve Bank. “The matter has been handed over to the SA Reserve Bank for further investigations. Once the bank is satisfied that there is an element of criminality, they can take the matter to the police,” he said. The arrests on Friday – details of which were released on Tuesday – followed a R50m drug bust at the airport. National police spokesman Brigadier Vishnu Naidoo said the consignment of cocaine, weighing about 143kg, was one of the largest drug recoveries at a South African port of entry. “The drugs were hidden in 147 hair products bottles and were found during a routine inspection at the cargo section. The consignment arrived from Brazil, and information displayed on the cargo indicated it was in transit to Cotonou, Benin, in West Africa,” he said. The confiscation of 60 000 Viagra tablets with a street value of R6m at the airport’s mailing centre. Cocaine weighing 3.46kg and valued at R993 020, found in the backpack of a passenger in transit from Sao Paulo and headed for Lagos, Nigeria. Sixty-five packages of crystal meth valued at R4.2m, confiscated while being loaded into a bakkie in the cargo area. Heroin valued at R201 810 destined for Spain and Ireland, discovered along with 2kg of cannabis at the airport’s mailing centre. BMA – This one is not implementable! The SA government is forging ahead with plans for a border management agency to handle all aspects of border control, from security to customs and plant and animal inspection – but MPs have said it can’t be done. Home Affairs Minister Malusi Gigaba and his defence counterpart Nosiviwe Mapisa-Nqakula launched Operation Pyramid – a transitional arrangement to improve interdepartmental co-ordination – on Friday, while a draft bill to create the legal framework for the agency was tabled at a workshop in Pretoria earlier in the week. But there are serious concerns about the ability of one entity to manage the diverse requirements of border control, which would require a huge single body that may prove unwieldy, while it would also need to assume some of the functions of the police and defence force. This would put it in conflict with the constitution, which provides for a single police service and defence force. Section 199.2 of the constitution states the defence force is the “only lawful military force in the Republic”. Establishing a border management agency performing security functions in parallel with the police and SANDF would thus require a constitutional amendment, but this is just one among many challenges. The need for such an agency arose in the first place because numerous national intelligence estimates had said the lack of co-ordination in the border environment resulted in “significant weaknesses, threats and challenges”. Briefing Parliament’s police oversight committee this week, Brigadier David Chilembe, head of border policing, outlined steps that had been taken to get the agency off the ground, six years after President Jacob Zuma ordered it to be done. The Department of Home Affairs, the lead agent in the project, had established a project office to oversee implementation, heads of affected departments had signed a multiparty agreement and sat on a committee together to co-ordinate their efforts, while an interministerial committee ironed out the policy questions. The Government Technical Advisory Centre in the Treasury was working on the business case for the agency, Chilembe said. The plan was to set up the agency in stages and identify the legal and operational implications at each stage so they could be addressed. But a follow-up briefing on concerns raised by MPs after an oversight visit to the Lebombo border post near Komatipoort in Mpumalanga opened a window into the difficulties the agency will face. The committee wrote a damning report on the Lebombo border post after a visit earlier this year, when MPs found the ceiling was collapsing because air-conditioning ducts dripped on to it, the door was shattered and the gate jammed, meaning it was possible to drive or walk through it without stopping. Police complained they had to stand unprotected in the sun or rain and had to make their own travel arrangements from town. 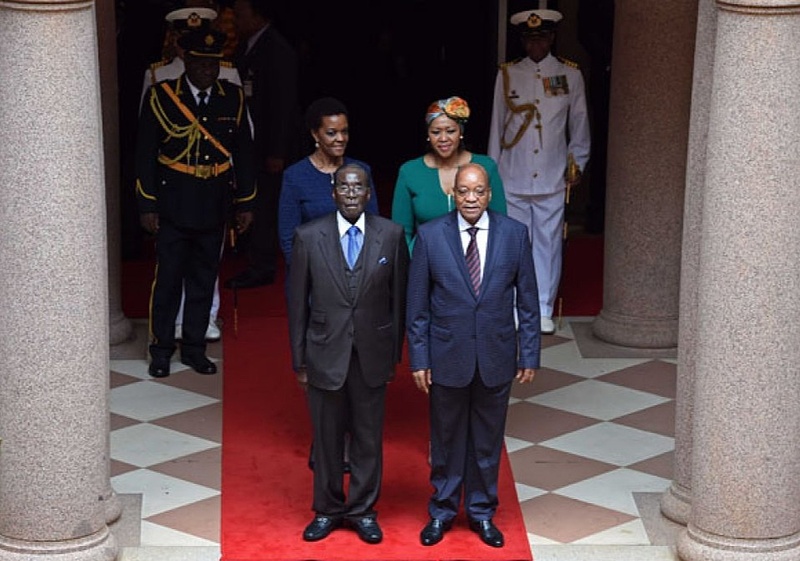 Lieutenant-General Kehla Sithole said the problems originated in a 1998 agreement between Mozambique and South Africa for the post to be established as a “one-stop” facility, with officials sitting back-to-back under one roof. Mozambique later said it had expected South Africa to pay for its construction, but the Treasury balked at this.The resulting limbo meant new facilities could not be built and neither could the existing ones be refurbished because the Public Works Department refused to upgrade buildings earmarked for demolition. There were perceptions that the SA Revenue Service, which was the lead agency in the Border Control Operational Co-ordinating Committee – the body charged with harmonising the environment since 2001 – looked after its own interests first, leaving the SAPS short-changed in accommodation and office space. MPs were shocked to hear an 80-room residential complex for SAPS personnel stood empty because police were expected to pay for it themselves but, unlike SARS officials, did not receive an accommodation allowance. As a result, they preferred to rent a shack in town and travel to the border post daily. There was also no scanner at the border post, meaning truck cargos, for instance, could only be inspected manually. Opposition DA spokeswoman on police Dianne Kohler Barnard said this almost certainly meant the majority of vehicles went through the post unchecked, meaning it could easily be used for child trafficking, for example. Sithole said the lack of a scanner was the result of a Treasury instruction for departments represented at the post to make a joint proposal for one to be procured, instead of each asking for their own – at a cost of millions a unit. A “scanner committee” had been established in the late 1990s but, because one was provided for in the plans for the one-stop concept, it had yet to be bought. Committee chairman Francois Beukman said MPs weren’t interested in the history of the problem, but rather in what would be done to get a scanner in place. ANC MP Jerome Maake, supported by Leonard Ramatlakane, said after the presentation it was clear the border management agency couldn’t work. If it was established as a government department – one of three options on the table – this would create a “super department” that would reach into the functions of the others. This would confuse lines of accountability. If it was established as a government component under an executive authority, or as a public entity, the other two options, it would run into the constitutional challenges related to the police and defence functions. “All I see here is problems and I don’t see how they can be solved,” Maake said. “Maybe you’re just afraid of telling the president, this animal can’t be implemented and you’re moving around it, on the periphery, afraid to just say, no – can we come up with something new?